David Wallliams acting career started in 2003 where he co-wrote and co-starred in the BBC sketch show Little Britain alongside Matt Lucas. A successful live stage show of the series, Little Britain Live was produced in 2006. In 2005, Walliams presented a documentary on James Bond, entitled David Walliams: My Life with James Bong. In 2007, he returned to non-comedy television, garnering excellent reviews for his portrayal of a suave and dangerous manipulator in Stephen Poliakoff’s Capturing Mary. Walliams also wrote and starred in two series of the BBC One sitcom Big School, playing the role of chemistry teacher Mr. Keith Church. Since 2012 Walliams has been a judge on Britain’s Got Talent. 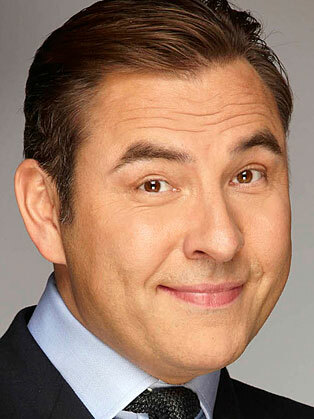 In early 2008 Walliams signed a contract with HarperCollins to publish two children’s books. The first was called The Boy in the Dress and the second, Mr Stink. Following the books success, Walliams published Billionaire Boy, Gangsta Granny and Ratburger. By the end of 2014, Walliams had sold over four million books and is described as “the fastest growing children’s author in the UK”.